Realistic Graphics, Powered by Unreal Engine 4. Explore the town, loot every structure that you can find in the game. Search for Food, Water and Weapons to stay alive. Realistic Animations for almost every action you do. Realistic Combat | Push, Attack, and Dismember The Dead Ones. 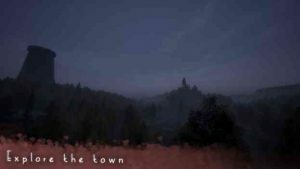 An Emotional, Eerie, and Atmospheric Soundtrack. TONS of Brand-New features and New Content coming via Updates! You’ll be able to scrap materials from Junk Items or Items you don’t use, to craft completely new items! Gather various items from the world and add them to recipes for crafting! There isn’t a character model yet, But in future updates, the player will choose between Male or Female. More buildings, towns, and cities to explore. The current world is just temporary. I plan on adding a completely new, dense world in a future update. More landmarks to see and explore. More Tighter and grounded Combat Features. More items and Weapons to find. There’s going to be A LOT of items and weapons. Weapon Upgrades, Maitnance & Fortification, Base Building, Generators. 8 Players Local | 32 Players Online. Customize your character with Clothes, Armor, and Accessories that you find in the world.